Professor Green (B.S. 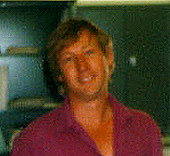 Physics, Stanford University, 1982, Ph.D. Physics, University of California, Berkeley, 1989) has been continuously involved in space astrophysics projects since graduate school. In addition to his responsibilities on COS, Prof. Green has been the Principal Investigator for an ultraviolet sounding rocket project, a planetary sounding rocket project, and has been directly involved in 19 NASA suborbital missions. He designed and built the spectrograph for the Far Ultraviolet Spectroscopic Explorer (FUSE), and led the Vision Mission concept study for the Modern Universe Space Telescope (MUST). Prof. Green is currently concentrating on the science phase of COS, where his primary research interest is in de-convolving the structure of the cosmic web. 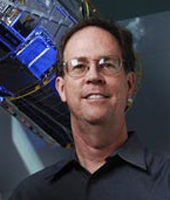 Prof. Green is also the co-Chair of the Wide Field InfraRed Survey Telescope Science Definition team (WFIRST SDT). 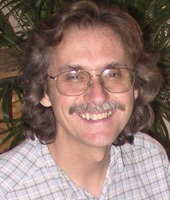 Dr. Foning is an observational astronomer and instrumentalist with an interest in the physics of mass accretion, particularly in accretion disks. Her research focuses primarily on the structure and behavior of accretion disks and outflows in compact binary systems. Dr. Froning's instrumentation work includes commissioning and verification of far-ultraviolet space instrumentation and the development and commissioning of optical and near-infrared imagers and spectrographs for ground-based astronomy. 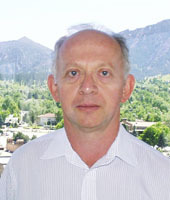 Dr. Osterman received his PhD in physics from the University of Colorado, Boulder in 1994. Since then he has been focused on the development, integration and testing of ground based and space born astronomical instrumentation for x-ray, UV and optical bands. His current projects include integration and test support as Instrument Scientist for the Cosmic Origins Spectrograph and development of enabling technologies for high resolution optical and x-ray spectroscopy. Dr. Osterman has supported several space born ultraviolet instrument development efforts, including Hubble Space Telescope’s Cosmic Origins Spectrograph (HST/COS), the Far Ultraviolet Spectroscopic Explorer’s Far Ultraviolet Spectrograph (FUSE/FUVS) and the Special Sensor Ultraviolet Limb Imagers for the Defense Meteorological Satellite Program (SSULI/DMSP). In addition, he has participated in a successful sounding rocket program and served as instrument scientist and optical scientist for several laboratory and design studies. Dr. Osterman has 27 publications on the topics of optical and astronomical instrumentation design, development and testing. Dr. Shull is a Professor of Astrophysics in the Department of Astrophysical and Planetary Sciences (APS) at the University of Colorado at Boulder. He is also a Fellow in the Center for Astrophysics and Space Astronomy and an Affiliated Faculty Member of the Department of Applied Mathematics. 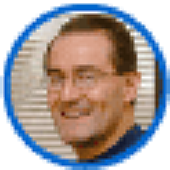 Dr. Shull was educated at Caltech (BS 1972, Physics) and Princeton (PhD 1976, Physics). 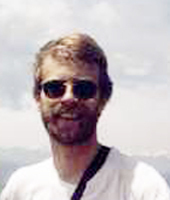 Following a one-year postdoc at the University of California, Berkeley (1976-77) he arrived at the University of Colorado in fall 1977, where he has worked for the past 31 years. He has received College awards for teaching (1986) and research (1996), CU Distinguished Research Lecturer (2001), President's Teaching Scholar (1994), and College Professor of Distinction (2008). Dr. Linsky's research group, "The Cool Star Mafia" (CSM), analyzes high resolution X-ray and ultraviolet spectra to study the comologically important deuterium abundance of the universe and to infer the physical properties of the local interstellar medium and the outer atmospheres of stars. Spectra obtained with the Hubble Space Telescope (HST), Far Ultraviolet Spectrograph Explorer (FUSE), and Chandra X-ray Obseratory (CXO), together with radio observations from the Very Large Array (VLA), provide the fundamental data for these studies. These data are compared with stellar atmosphere models, radiative transfer calculations of spectral line profiles, and plasma spectroscopy codes to obtain physical models of the emitting plasmas. Dr. Stern is the principal investigator of the New Horizons mission to Pluto and has over 25 years of space science experience, including 200 technical papers, 40 popular articles and has authored/co-authored two books, and served as editor on three technical volumes, and three collections of scientific essays. He has been involved as a researcher in 24 suborbital, orbital, and planetary space missions, including eight for which he was the mission principal investigator including the Southwest Ultraviolet Imaging System, an instrument which flew on two space shuttle missions, STS-85 in 1997 and STS-93 in 1999. He has also led the development of eight scientific instruments for planetary and near-space research missions and has been a guest observer on numerous NASA satellite observatories, including the International Ultraviolet Explorer, the Hubble Space Telescope, the International Infrared Observer and the Extreme Ultraviolet Observer and has given over 100 hundred technical talks and dozens of popular lectures and speeches about astronomy and the space program. 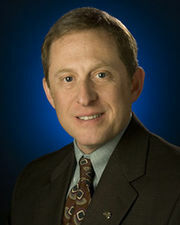 Dr. Stern was Executive Director of the Southwest Research Institute's Space Science and Engineering Division until becoming Associate Administrator of NASA's Science Mission Directorate in 2007. He resigned from that position after nearly a year. 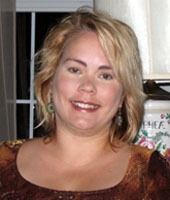 Dr. Stern is now the Associate Vice President for Reasearch and Development at Southwest Research in Boulder Colorado. 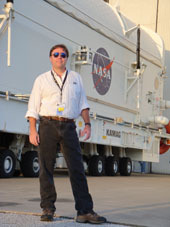 Dr. Spencer is a Staff Scientist at Southwest Research Institute's Department of Space Studies in Boulder, Colorado. A native of England, he obtained a Bachelor's degree in Geology from the University of Cambridge in 1978, and got his PhD in Planetary Sciences from the University of Arizona in 1987. He spent four years in postdoctoral positions at the University of Hawaii before joining the staff of Lowell Observatory in Flagstaff, Arizona, in 1991. He worked there till he joined Southwest Research Institute in January 2004. He specializes in studies of the moons of the outer planets, particularly the four large "Galilean" satellites of Jupiter, using theoretical models, Earth-based telescopes, close-up spacecraft observations, and the Hubble Space Telescope. 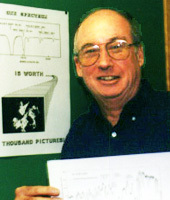 He was responsible for temperature mapping of Jupiter's moons with the Photopolarimeter-Radiometer (PPR) instrument on the Jupiter-orbiting Galileo spacecraft, and is now assisting in the mapping of temperatures on Saturn's moons using the Composite Infrared Spectrometer (CIRS) on the Cassini Saturn orbiter. He is particularly interested in the active volcanos and atmosphere of Jupiter's moon Io, and more recently in the active ice eruptions of Saturn's moon Enceladus. He has also published research on Mars, asteroids, Pluto, and Neptune's moon Triton, and is a science team member on the New Horizons mission to Pluto and the Kuiper belt. His observational work has included discovery of several major volcanic eruptions on Io, the first observations of Io's volcanic plumes with the Hubble Space Telescope; discovery of sulfur gas in Io's plumes; co-discovery that Io's atmosphere is highly asymmetrical; co-discovery of ice volcanic activity on Saturn's moon Enceladus; and co-discovery of oxygen on Jupiter's moon Ganymede. His theoretical work has improved our understanding of nitrogen frost on Pluto and Triton, water frost on Jupiter's moons, and heat radiation from asteroids. 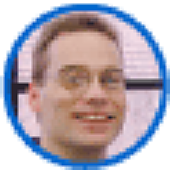 Dr. Ebbets is a Systems Engineer at Ball Aerospace Systems Division in Boulder, Colorado. Since joining Ball in 1985 he has worked primarily on science instruments for NASA's Hubble Space Telescope, and on design studies for other space science missions, including the Next Generation Space Telescope. He is a member of the Investigation Definition Team for two instruments aboard Hubble, the Goddard High Resolution Spectrograph and the Cosmic Origins Spectrograph. Dr. Ebbets holds an undergraduate degree in physics from West Virginia Wesleyan College and a Ph.D. in astrophysics from the University of Colorado.